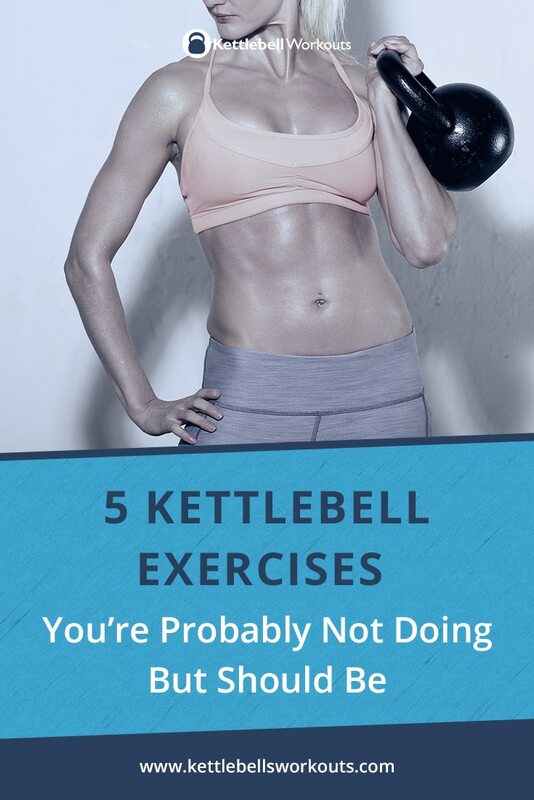 We all like to do the things we are good at and less of those that are more challenging, here are 5 kettlebell exercises you’re probably not doing but should be. Working on these 5 kettlebell exercises will help to improve on your weaknesses and increase your overall strength, condition, balance, technique and more. 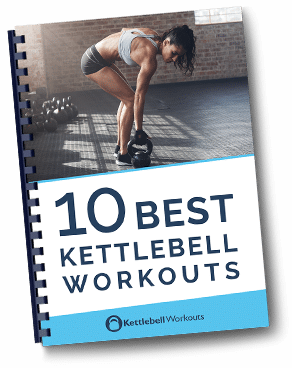 Take a look at the following 5 kettlebell exercises and see if there are some improvements you can make. The bottoms up kettlebell clean is a full body exercise that will help to improve your core and body alignment. 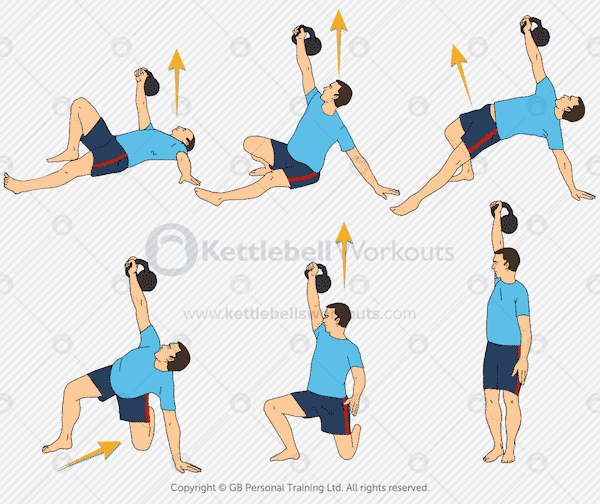 Performed in the same way as a regular kettlebell clean but the kettlebell ends up balancing upside down in the top position. Cleaning the kettlebell and maintaining the upside down position takes great skill and alignment to prevent the kettlebell from flopping back over. 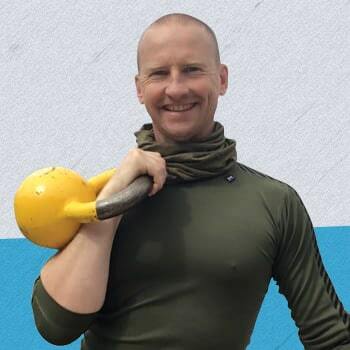 It is easy to think at first that the movement requires good wrist strength but in fact it is the ability to correctly align and adjust the arm underneath the kettlebell that is important. Not only will the bottoms up clean help with your proprioception skills but will also condition you to keep your arm tucked nice and tight, important for so many other kettlebell exercises. Practice: keep the numbers low, so 5 on each side aiming to hold the kettlebell in the bottoms up position for as long as possible. 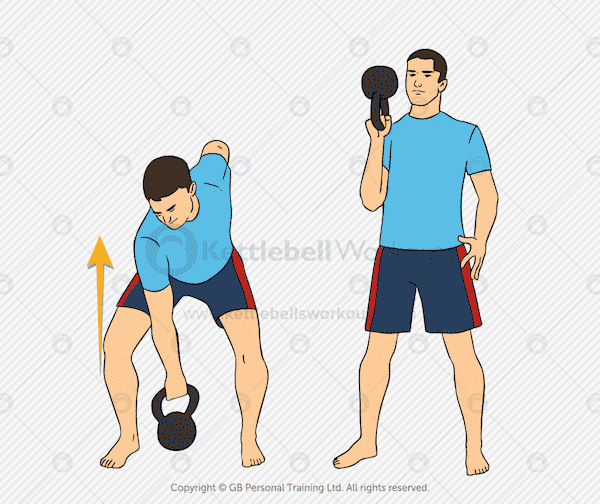 Once mastered you can progress to the kettlebell bottoms up press. 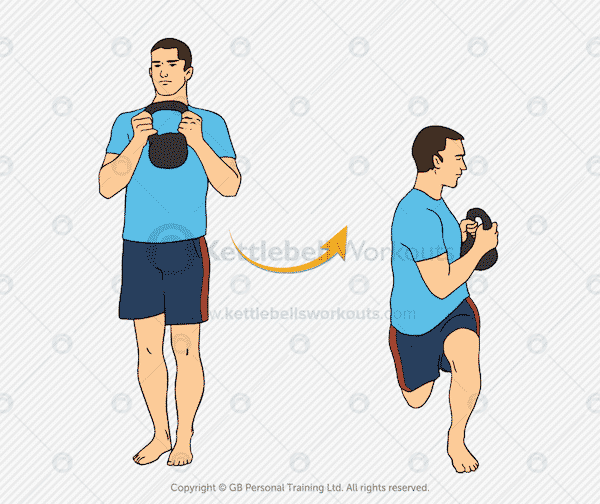 The kettlebell single leg deadlift is an important exercise to develop good core synergy as well as connecting the hip and shoulder. Keeping a soft front knee you slowly pendulum forwards keeping your core tight and back flat. It is very common for the core to crumble and for the arm to reach to the floor, dropping the shoulder. Don’t do this! Keep your weight on your heel to work deep into the buttocks and hamstrings. The body has a natural sling system that connects the shoulder to the opposite hip via the core muscles. Practicing and strengthening this movement pattern will give you strong movement skills for sports as well as other kettlebell exercises. You may also find a strong imbalance between one side and the other. If you do then work harder on your weaker side in order to correct the imbalance. You will also notice the same side weakness in your turkish get ups. Practice: 5 repetitions on each side is enough, repeated up to 3 times. You can add more weight in order to make the exercise more challenging. You may have already tried or experienced the kettlebell turkish get up but I can’t emphasise enough how important an exercise it is. The turkish get up conditions the full body but more importantly strengthens the stabilising muscles and mobilises the joints. You can think of the get up as a full body assessment. If you find you struggle with one section of the turkish get up then that will affect the rest of your training and movement in daily life. If you find a weakness then you must correct it. You must work on strengthening that section of the get up. You can practice the get up with a glass of water to begin with to get your technique right. Adding a kettlebell at a later date will help to strengthen your stabilising muscles to prevent injury from more heavy duty kettlebell exercises later. Practice: start with 10 repetitions changing sides every rep. As you get stronger you can perform 2 on one side before changing sides etc. It is so common for people to only exercise in the sagittal plane, that means just forwards and backwards. If you want to fully condition your body then you need to strengthen it from all angles. The kettlebell side lunge will not only develop rock hard buttocks but also improve your hip mobility. Your hip mobility deteriorates as you age so it’s important to always work on exercises that challenge your movement skills. Make sure to keep your weight back on your heel and to keep your chest up. Start off without the kettlebell and not lunging too deep to the side. As your mobility and strength improve you can add the kettlebell into the mix. Practice: keep the repetitions low and focus on technique. 3-5 each side is a good start, repeating for 3 rounds if possible. Another important kettlebell exercise that will challenge your movement direction skills. 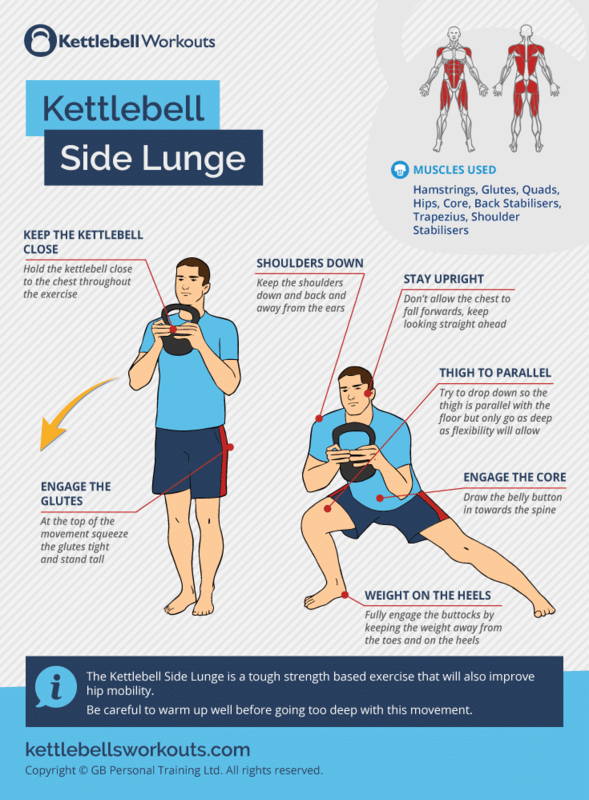 The kettlebell lunge with rotation is a surprising challenging exercise that will condition most muscles in your body. As you lunge ensure that the back knee gets very close to the floor in order to activate the buttocks correctly. The addition of the rotation conditions the core muscles as well as improving mobility in the hips and back. Keep your chest up as you rotate over the front leg. Do not rush the movement. You can either alternate legs and therefore rotate directions each repetition or work on one side and then the other. If you play sports or are involved in martial arts then this exercise will be very helpful. Practice: work up to 20 alternating repetitions. It is very easy when exercising to only perform the exercises you are good at or enjoy. However, taking some time to work on your weaknesses can pay dividends for your overall training. If you have not tried or mastered any of the above kettlebell exercises then I strongly recommend you start today. As with all exercise start out nice and steady until you full master the movement before adding any serious load. Enjoy the exercises and more importantly the results.